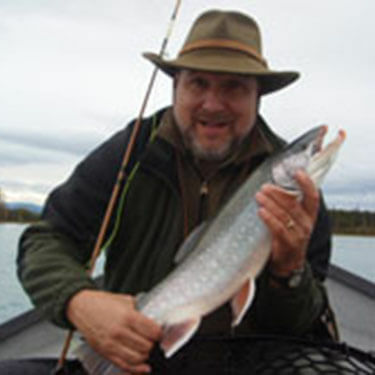 Many successful ice fishermen consistently fill their buckets using finesse presentations to finicky fish. This technique is easily learned for shallow water – say 12-feet or less, but how does one solve the problem of seemingly waiting forever for a tiny bait to drop through the water column in deeper water? Three commercially available spoon baits with a dropper chain and hook solve this problem – the VMC Rocker Spoon, the Clam Speed Spoon, and the Hali Sukkula Jigs. Quite simply, the ability to make finesse presentations quickly in deep water is made possible by a heavy attractor spoon carrying your delicate bait with it. This is important if you want to capitalize on a feeding frenzy and maximize your catch before a school of fish wanders away. 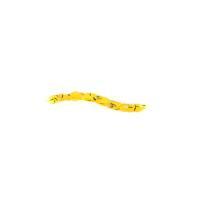 You can tip the hook with your favorite bait – a maggot, wax worm, minnow head, perch eye or even micro plastics. 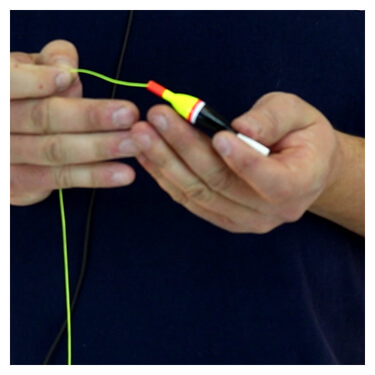 A supple chain connects the hook to the spoon that imparts a jigging action that can’t be duplicated with a monofilament leader. The clip at the end of the chain enables you to change the hook to match your quarry or easily replace a damaged hook. There are a myriad of enticing color finishes available on these spoons. Not only will they attract fish while jigging, but you may get a take on the fall as it drops and flutters through the water column! What sets the VMC Rocker Spoon apart is the 3D holographic eyes, the shimmering finishes, and a glow resin size six Octopus hook connected to the spoon with a black nickel dropper chain. The color selections are stunning! There are eleven colors to choose from – including three in UV. Most colors are available in three sizes: 3/16, 5/16 and 7/16 ounce, with lengths of 1-1/2, 1-3/4 and 2 inches respectively. A good starter color selection would be the Glow Chartreuse Shiner, the Glow Orange Fire UV and the Shiner in sizes commensurate with the waters you fish. The Clam Speed Spoon is 35 mm long (just shy of an inch and a half), weighs 1/8 ounce and is available in six colors. It has a heavy-duty chain with a glow resin attractor size eight single hook. 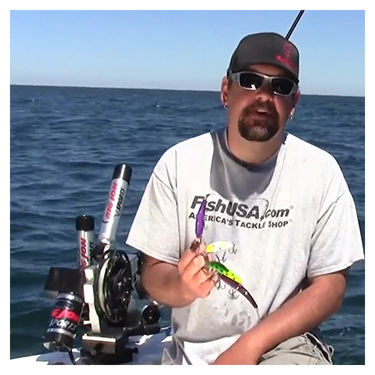 Being a lighter offering, the Clam Speed Spoon would be a good choice for shallower water. You will enjoy the benefits of a quick sinking, flashy spoon carrying your bait with it as much as heavier baits for deeper water. 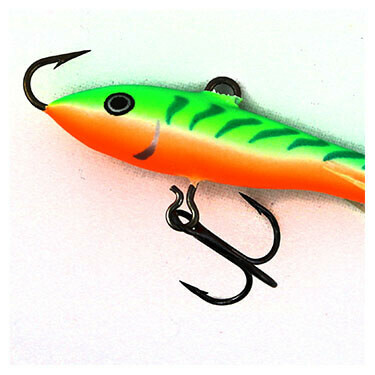 This is a really good choice for perch, bluegills and crappies in relatively shallow water. 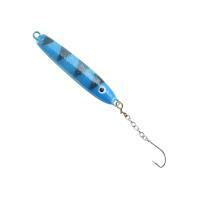 Perhaps the granddaddy of them all, this Finnish lure has been around for many years. An amazing selection of 35 colors are available! Most colors are offered in three size/weight combinations of 25mm, 3/16-ounce, 35mm, 5/16-ounce, and 50mm, 7/16 ounce. This jig comes standard with a size 10 chain hook. Replacement Glow Bead Chain Hooks are available in size eight, with eight different glow beads to choose from. They are very easy to switch out, no knots are required, just a clip to fasten the chain to the spoon. What stands out about the Hali spoon is the eye is painted on the bottom of the spoon. Could the position of the eye make a difference? There is only one way to find out! A friend of mine who lives on the shore of a popular Canadian lake asked me to find some Hali jigs “in all of the colors”. He had just discovered the Hali jigs and was slaying the perch, but couldn’t find a good selection in his local stores. 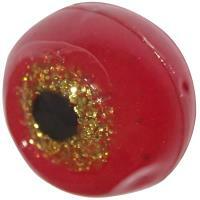 FishUSA is well stocked with all the sizes and colors from these three manufacturers. This family of ice fishing baits doesn’t really have a category name. Is it a spoon, a jig, a dropper rig? 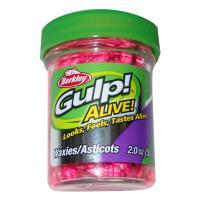 However you want to classify these baits, they are a good bait to have in your arsenal. They will certainly produce in shallow water, but they really work well in deeper water, enabling you to make that delicate presentation quickly in deep water. Try a couple from each manufacturer and see which one catches fish best for you! The Clam Speed Spoon has a body that resembles a minnow and a dropper chain that gets the fish on. 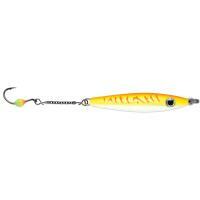 It is ideal for heavily pressured fish and has a custom firetiger bar pattern. 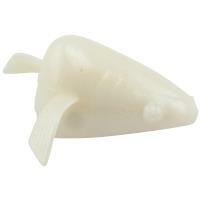 Clam Speed Spoon are good if you're after walleye, perch, and crappie. 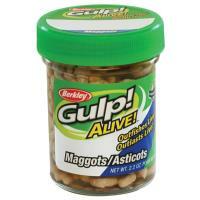 They can be baited with minnow head, euro larvae, waxi, spike, and more. These spoons are made of lead. Clam Speed Spoons are 1/8 ounces and are 35 mm in length.